Sterling Heights Fiber Cement Siding | Sterling Heights Cement Siding | Sterling Heights Cement Board Siding | Sterling Heights Cement Lap Siding | Sterling Heights Cement Panel SidingMcGlinch & Sons CO. Looking for a low maintenance and high-quality option to beautify your home? Check out James Hardie fiber cement siding from McGlinch & Sons! Cement board siding comes in a variety of colors and patterns and is easily maintained. 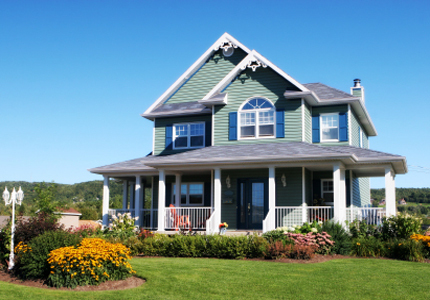 Since 1917 McGlinch & Sons has been providing reliable remodeling and cement panel siding services to the residents of Sterling Heights and the surrounding area. We will give you all the information for your cement lap siding estimate including labor and materials based on your specific project. You can be assured that the customer service representatives at McGlinch & Sons are professional and knowledgeable when it comes to fiber cement siding products. Located in Macomb County, Michigan is the large city of Sterling Heights. One of Detroit’s core suburbs, Sterling Heights has a population of nearly 130,000 and consistently ranks as the safest city in Michigan. The Sterling Heights Nature Center boasts such exhibits as live reptiles and amphibians, along with a variety of mounted birds and mammals found naturally in the area. Residents of Sterling Heights know that when it’s time to remodel or replace the exterior siding on their homes, McGlinch & Sons offers James Hardie premier fiber cement siding which is the best option. Rated first in durability and appearance, cement lap siding is made to fit virtually any home’s style and décor. There are many reasons to choose quality cement board siding or cement panel siding over traditional wood or vinyl, the first of which is appearance. Functionality and durability of cement siding are evident in the resistance to UV rays, moisture damage, heat and fire resistance, and severe weather. Wood and vinyl may crack and warp from heat and the elements, and fiber cement siding, won’t melt and resists rotting, cracking, warping, sagging and pests. We have affordable options, and custom colors and styles available for any size cement siding remodel. Call us today at (248) 987-6300 to learn more about our cement siding products or to schedule an appointment with our installation team.